A true hero! He will be remembered and hopefully we will once again start following in both those small steps and giant leaps. Not a HERO… The greatness of this is he was only another naked ape… Just like all of us! He was brave enough to strap himself into a rocket, fly into space, and land on the moon. That’s a hero in my book. Seriously. They weren’t even sure if they were going to be coming back. They even had a speech ready if they got stranded there. It’s brave, that’s for sure. But let’s not pretend every boy on the planet wanted to do what he did. He was a hero of qualifications. I loved his music…he was a hell of a trumpet player. You’re playing Jazz with Jesus now! This is new!!! Have any youtube or anyshit like to shown? 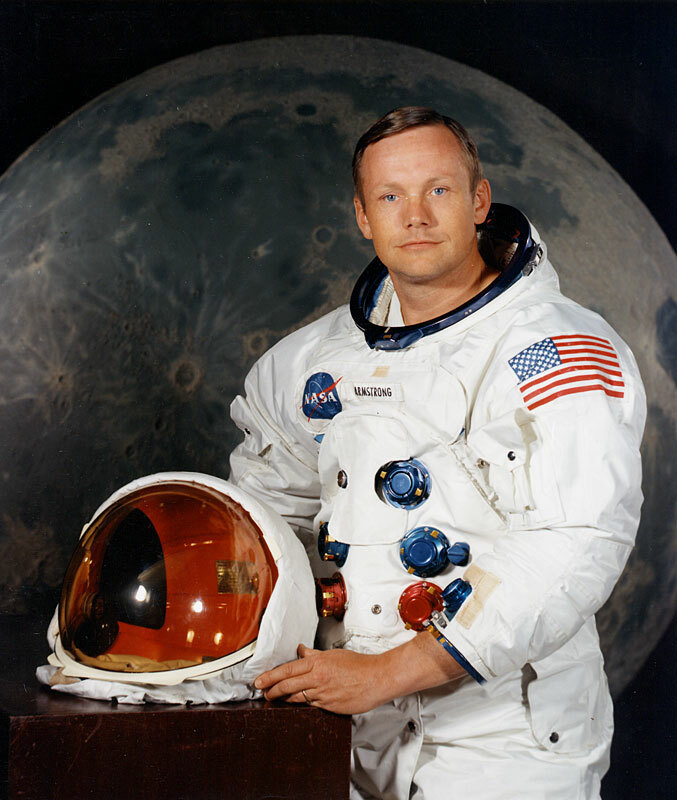 Although, Neil Armstrong did play the euphonium. Meanwhile: the other Armstrong gets all his medals taken away. Really? how about the 380kg of moon rocks here on earth? or the fact you can see the landers on the moon with a telescope or the mirror that was installed on the moon that is used to measure it’s distance from earth using lasers. Lasers? Sounds like bunk science to me. Not to mention that moon rocks look a whole lot like earth rocks.